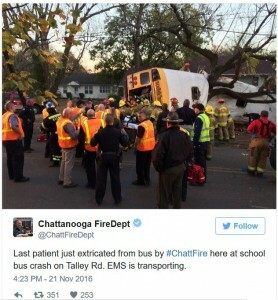 According to reports, 24-year-old bus driver, Johnthony Walker, allegedly asked the children aboard the school bus before crashing it in Chattanooga, Tennessee, ‘if they were ready to die”. What? Walker was arrested Tuesday and charged with five counts of vehicular homicide, reckless driving and reckless endangerment. Police are looking into speed as a possible factor for the accident; however, with the cameras on board and other devices, it is possible that we will know what was said on the bus prior to this horrific accident. Parents of some of the children who survived a deadly school bus crash in Chattanooga are starting to shed some light on the moments leading up to the crash, which killed five kids and injured more than 20 others. Really, has this what has it has come to? Following a motor vehicle accident where a 2 year old child was struck by a van after the child ran out into the street, the driver did the right thing and stopped. What happened next was nothing short of criminal and as assassination. As reported at JS-Online, had Archie Brown Jr. committed a hit-and-run, he and a 15-year-old boy likely would still be alive today. However, he did not and moments later the 41 year old driver was shot dead and a 15 year old boy was shot and seriously wounded as well. The 15 year old boy was taken to the hospital for treatment of his injuries and died during surgery. Milwaukee police say three people are dead in connection with an incident that began as a fatal accident and turned into a double shooting. It happened in the 4600 block of N. 48th Street on Sunday, April 12th just after 5:00 p.m. Police had much of Wahl Park blocked off as they worked the scene. Police say an initial investigation has revealed a two-year-old child ran into the street and was struck by a vehicle. The 41-year-old man who was driving remained at the scene. Police say the driver and a 15-year-old boy were then shot. The driver was pronounced dead at the scene. 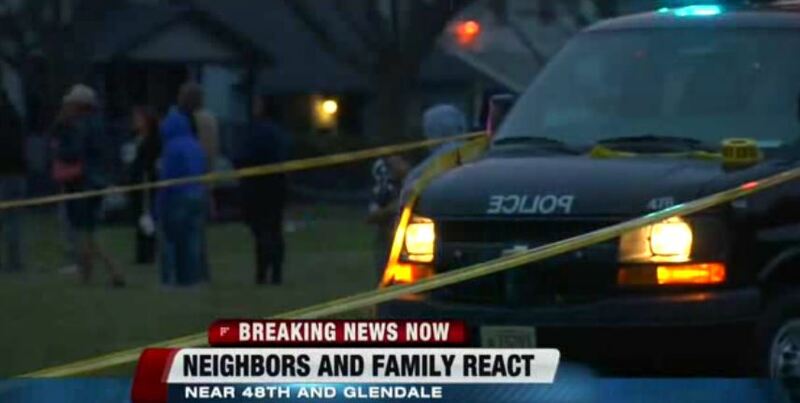 The 15-year-old boy was taken to the hospital for treatment of his injuries. Police say he died during surgery. UPDATE I: Mayor Tom Barrett … Gunman, apparently enraged that a van had struck a 2-year-old boy Sunday on Milwaukee’s northwest side, not only “assassinated” the driver of the van, but cut down the toddler’s brother, who had rushed to the scene. Archie Brown Jr., 40, was driving the van about 5:10 p.m. Sunday in the 4600 block of N. 48th St., near Wahl Park, when he hit 2-year-old Damani T. Terry, who had darted into the road, according to Milwaukee police. Brown immediately jumped out and — by all accounts — was grieving and upset as he stood over the body. Rasheed T. Chiles, 15, who had been attending a party at a nearby house with his toddler brother, was at the scene as well. A gunman shot and killed Brown, according to police. Chiles also was hit, according to Barrett, and died during surgery Sunday night. Milwaukee police continued on Monday to work on identifying the shooting suspect. In the late afternoon, Attorney Michael Hupy offered a $25,000 reward for information leading to the arrest and conviction of the person who pulled the trigger. An upset Hupy said it was the fourth time he has offered a personal reward in a murder case. Actor Tracy Morgan is in critical condition following a multi-vehicle accident on the New Jersey Turnpike that has left one individual dead. The 45 year old actor/comedian was traveling with six others in a limo bus on the NJ Turnpike when the accident occurred between the limo bus, two tractor-trailers, an SUV and two cars. Tracy Morgan was traveling in a limo bus that overturned around 1 a.m. Saturday morning of Exit 7A of the Turnpike in Cranbury, NJ, just north of Trenton. One passenger aboard Morgan’s bus was killed. Morgan was rushed to Robert Wood Medical Center in New Brunswick, NJ, where he is in intensive care. Three others were in critical condition and another is listed in fair condition. 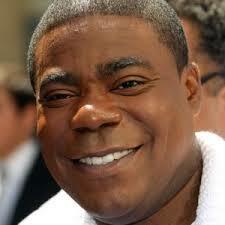 Say a prayer for Tracy Morgan and the others injured. Comedian Tracy Morgan is in critical condition after a multiple-vehicle accident in New Jersey, according to media reports. The former “30 Rock” and “Saturday Night Live” star was traveling with six others in a limo bus on the New Jersey Turnpike at about 1 a.m. Saturday when the accident occurred, Sgt. Gregory Williams of New Jersey State Police told the Associated Press. UPDATE I: Trucker charged in crash that injured Tracy Morgan. Wal-Mart driver, 35 year old Kevin Roper of Georgia, was charged with one count of death by auto and four counts of assault by auto. The truck driver, 35-year-old Kevin Roper, of Jonesboro, Georgia, apparently failed to slow for traffic ahead and swerved at the last minute to avoid a crash, the Middlesex County Prosecutor’s office said. Instead, the big rig smashed into the back of the Mercedes limo bus, prompting a chain-reaction crash with a second tractor-trailer, an SUV and two cars, authorities said. No one in the other vehicles was injured. So far, there is nothing to suggest Roper fell asleep or was dozing, state police Sgt. 1st Class Greg Williams told The Associated Press. UPDATE II: Truck driver in Tracy Morgan crash surrenders to police. A truck driver who caused a New Jersey highway collision that critically injured actor and comedian Tracy Morgan and left another comic dead has turned himself in to face a charge of death by auto, state police said Sunday. UPDATE III: Bail Set at $50,000 for trucker Kevin Roper.